[PDF Download] The High-End Coaching Package Blueprint - Coach & Grow R.I.C.H. Have you determined your coaching packages for 2015? Get this helpful PDF Download (It’s free for a few days). 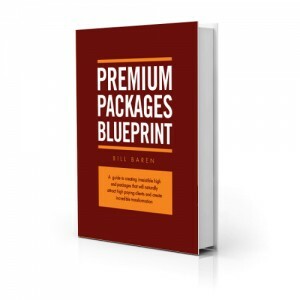 It’s a Blueprint from Bill Baren that shows you a new way to package your coaching so that people truly value what you have to offer and happily pay top dollar for your premium services. Look Kim, how you package and price your coaching makes all the difference when it comes to how much you earn, who you attract and the type of results and transformation your clients achieve. Get the Blueprint that shows you how. You’re awesome… and it’s time for your coaching packages to reflect that! P.S. The Premium Package Blueprint will only be available free for a few days…so I highly recommend you take 30 seconds and get it here now.